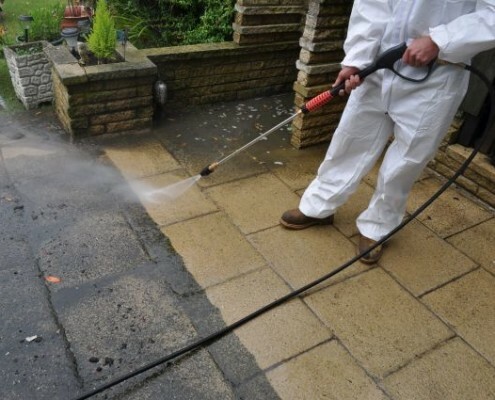 Power washing cleans and prepares surfaces that will be painted by removing dirt, mould, mildew, pollutants, pollen and dust. 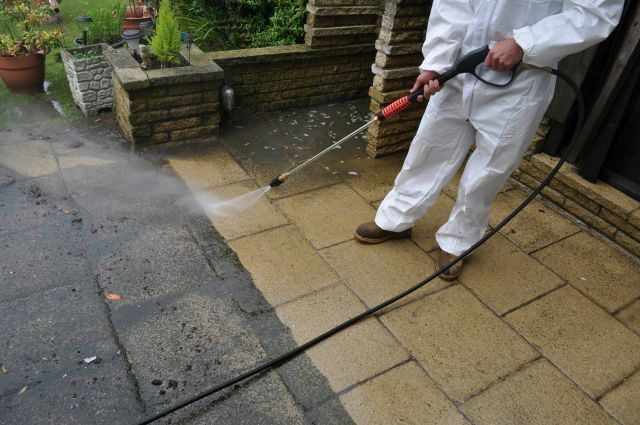 Decks and fences are often prime candidates for power washing; and both stand to benefit from the cleaning. 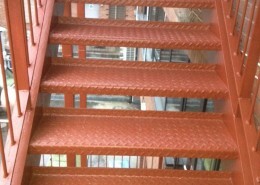 Decks can be power washed with bleach or deck brightener to penetrate the wood fibers. This will wash away old stain and brighten up grey wood fibers caused by foot traffic, sun and sitting rain water. Fences often have mildew on the surface that is caused by being a soft wood, and being so close to the ground and vegetation. 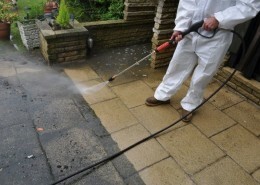 Power washing will help remove these types of mildews and rejuvenate the look of any wood.